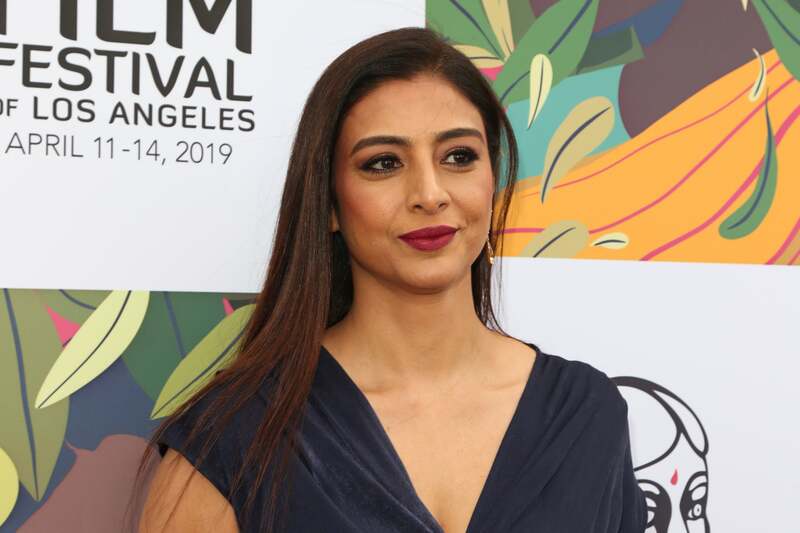 Actress Tabu attends the 17th annual Indian Film Festival of Los Angeles opening night premiere of ANDHADHUN. The Indian Film festival in Los Angeles (IFFLA) is a showcase for emergent Indian filmmakers to find their own personal voice amidst the giant two poles of Bollywood and Hollywood. By showcasing their best works in Los Angeles they strive to create awareness, not only in local audiences and the sprawling local Indian community but also among the filmmakers themselves. After an opening night tribute to celebrity actress Tabu – who laughingly admitted that she “made a career by playing ‘immoral’ characters” – the rest of the festival’s 17th edition’s program features new films in all categories (features, documentaries and shorts) with themes that challenge a society whose conventional values often pose an obstacle to free artistic expression. A Tibetan woman living in exile in Delhi (The Sweet Requiem), petty criminals and addicts in the streets of Kolkata (Cat Sticks), street vendors and outcasts in Old Delhi (Taking the Horse to Eat Jalebis), a fatherless boy in Kolkata (Chippa), a Kashmiri woman who struggles to liberate herself from the shackles of widowhood (Widow of Silence), an elderly man in search of peace (Namdev Bhau in Search of Silence), a love story that defies class and age differences (Photograph), the remembered love life of an elderly woman (Jonaki), and young friends who choose the adventurous streets of Mumbai over going to school (The Odds) – make for a colorful portrait of a nascent culture that brings to light people and situations that have been customarily hidden in the shadows of life. On Saturday, April 13, IFFLA’s panel discussion, Breaking in Brown: Making It to Series in TV’s Golden Age, highlights the work of successful South Asian filmmakers in the era of booming television production. The panelists – Kiran Deol (actor – Sunnyside), Nik Dodani (actor – Murphy Brown, Atypical), Meera Menon (director – The Walking Dead, GLOW, The Magicians), Fawzia Mirza (actor, writer – The Red Line), Chitra Sampath (writer – Good Behavior, Southland), Roshan Sethi (writer & co-creator – The Resident),Dhruv Uday Singh (actor – Good Trouble, Pandas of New York) – share their stories of starting out and growing in the industry, and how their South Asian identity has presented unique opportunities and challenges along their career path. The festival unfolds in two major venues this year. The classic Ahrya Fine Arts Movie Theater is reserved for the Opening and Closing Night galas while the core programs take place at Regal L.A. Live, in downtown Los Angeles. IFFLA 2019 is a recipient of the Hollywood Foreign Press Association grant, especially designed to support foreign language film festivals in Los Angeles.